I am a cupcake fan, aficionado, monster, queen… or maybe even a cupcake overlord (still contemplating if I want to be a cupcake overlord, it does seem a little harsh). Whatever synonym you use, it’s really quite simple: I enjoy cupcakes thoroughly. It is hands down, my most favourite dessert and I’m pretty sure many people share my sentiments. Cupcakes are by no means a new phenomenon. 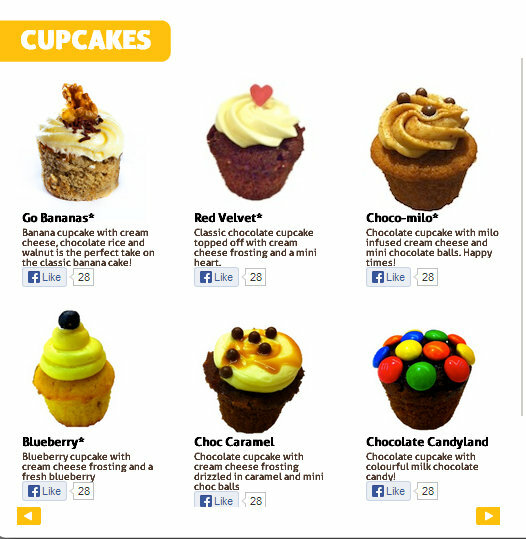 Though, in recent years, there has been a rise in the number of cupcakeries all over Singapore. A true cupcake connoisseur would know..Plain Vanilla. , L.A.M.B. Cupcakery, Cupcake Momma and of course, Twelve Cupcakes.. all with their own strengths, definitely! One of my good friends at work was on Deal.com.sg and discovered this offer. SGD $9.90 for a cupcake buffet? Hello?? There is really no other option for someone except to click BUY, surely. And buy she did. It is a one hour all you can eat buffet and I do believe it is the first of its kind here in Singapore! So today, after a long day of work, we scooted off to Butter Studio. This bakery started off as small store in Changi Airport where they sold halal bakes and cakes. Recently though, the owners decided to branch out and have a cafe-styled place of their own. Located along Jalan Besar, it is probably best to travel there by bus or by car (there is a cashcard–payment carpark located nearby). The nearest landmark is actually the Jalan Besar Food Court. Since we bought a voucher, we had to call and make a reservation with them. Thankfully though, when we went in, it was empty with just us four to devour their cupcakes. I noticed as we sat down and got acquainted with the place that people were trickling in and out, but as takeaway customers. I stepped in to the store and was immediately taken in by the mish-mash of things all over the store! The entire shop goes for a very vintage, old school Singapore type feel. 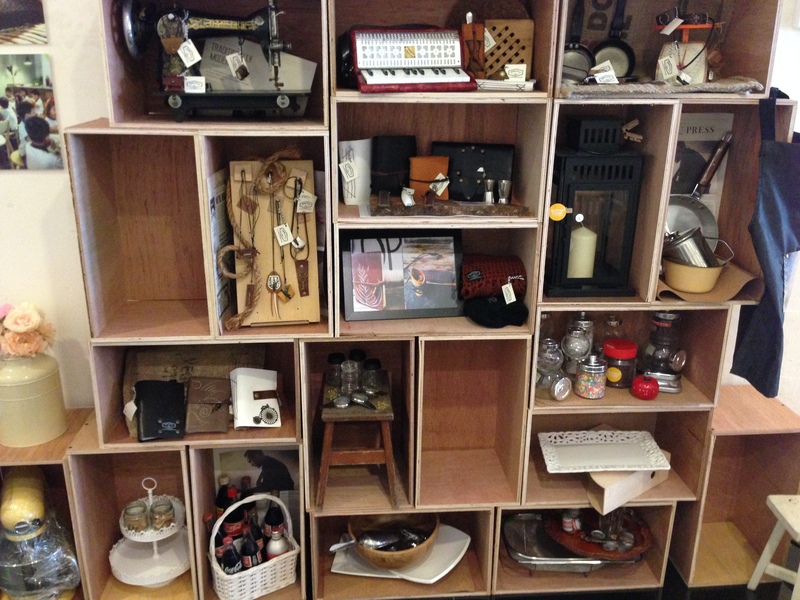 There are interesting little knick-knacks located around the store which take you back to an older Singapore, the one that you don’t see today. 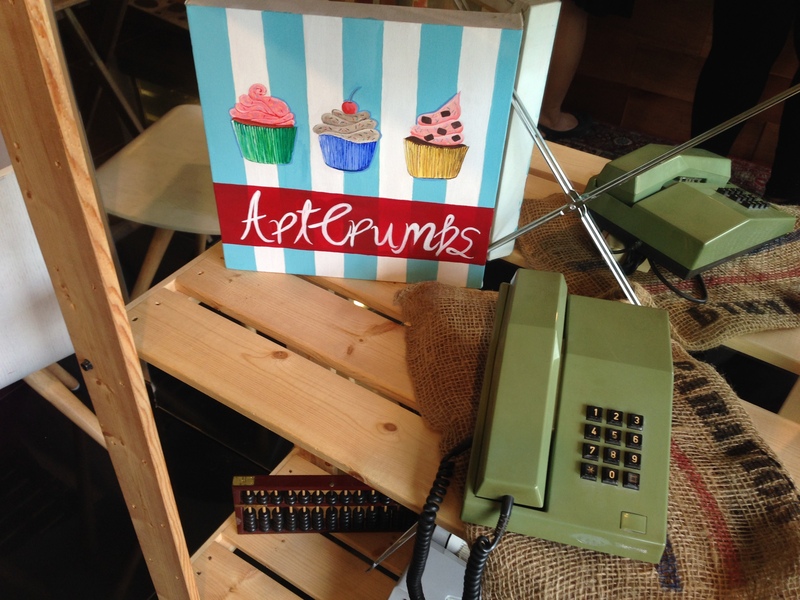 They pay a lot of attention to detail so if you stop and just take a moment to look around you will find vintage telephones and radios lying around, a tea cosy with some Singapura message on it, mason jars, old school sewing machines, old trays with Chinese messages printed on it, china-patterned plates and pot holders made of ruck sacks. Taking a moment to soak in the atmosphere of the cafe is always a must for every cafe I go to. It’s so interesting to discover the little bits and pieces of a cafe that we sometimes overlook in our (or my) gluttony to be honest. Looking at all the little things made me think of two things – memories of my childhood that came flooding back when I saw the telephones and mason jars and it also made me think a lot about the owners and what they must like because a cafe’s interior is often a reflection of the owner’s interest and personality. 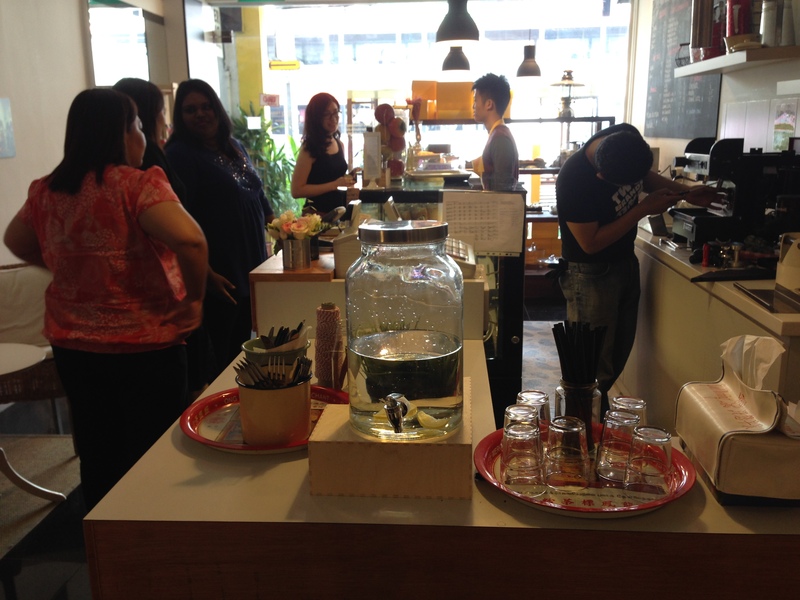 As I looked around at this simple, new and new-old cafe, I found myself assuming that this owner must be someone who enjoys all the little things about a Singapore we have now lost and someone who pays a lot of attention to detail. So how does a cupcake buffet work? It’s quite simple. 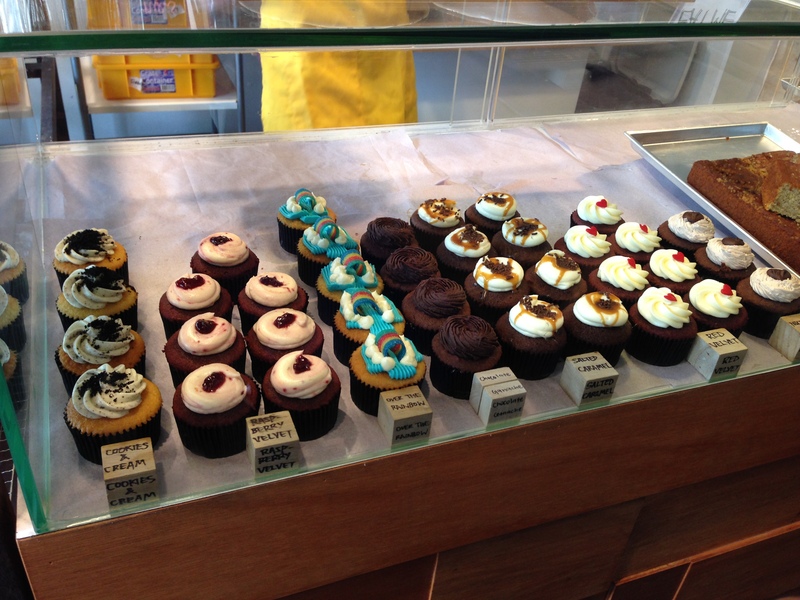 You go up to the counter, tell the staff what you want and they fill your plate up with cupcakes. Every time you want a refill, you just head back to the counter and they top it up for you again. 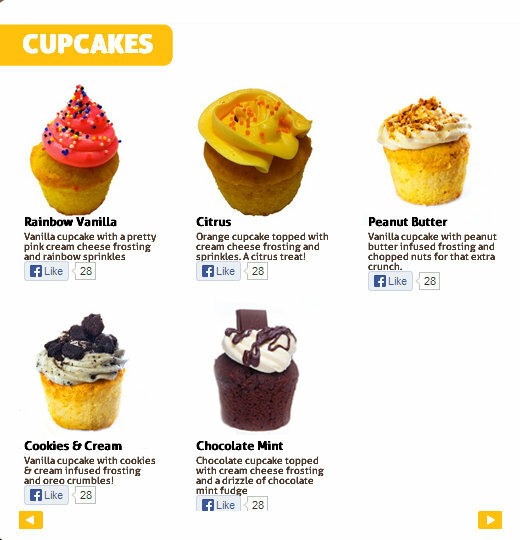 The cupcakes are originally priced at $3.20 per cupcake, $9 for 3 cupcakes, $17 for 6 cupcakes and $33 for a dozen. I made sure I tried every cupcake but I forgot to take a photo of each individual cupcakes but here’s my review anyway! In general, their cakes are light and really fluffy. Some cupcakes can be very heavy and dense but I’m sure the batter must have been well beaten because these cupcakes are really nice. It wasn’t too dry like how cupcakes can get when they are baked for too long. It is really one of the better cupcakes I’ve tasted and frankly, I really like their cupcakes even more than those at Twelve Cupcakes. True to the name Butter Studio, the taste of butter runs through quite strongly through the cakes but it doesn’t overpower the cakes at all. Rather, it gives the cakes a wonderful smoothness that I haven’t gotten in a lot of other cupcakes. My favourites are the Cookies and Cream and Red Velvet. I think the Cookies and Cream was really an amazing balance of sweetness that did not overpower. Whenever I think of cookies and cream, the first image that comes to mind is always the white cream in an oreo for some reason so I’m always wary of the taste. So when I tasted this, I was so happy with the taste. It wasn’t sickeningly sweet but at the same time, the butter cream frosting was finger licking good! Unlike other cupcakeries, the icing here is just nice – not too sweet and the cream cheese icing isn’t overly sour so even if you’re not a fan of cream cheese, this will make you quite happy. However, the Salted Caramel wasn’t quite like others I’ve tasted before. Interestingly, they use a chocolate base for their cupcakes instead of vanilla which takes away from the flavour of the salted caramel in my opinion. Instead of a strong salted caramel flavour, the chocolate base overpowers it, making it taste more like a chocolate cake than salted caramel. 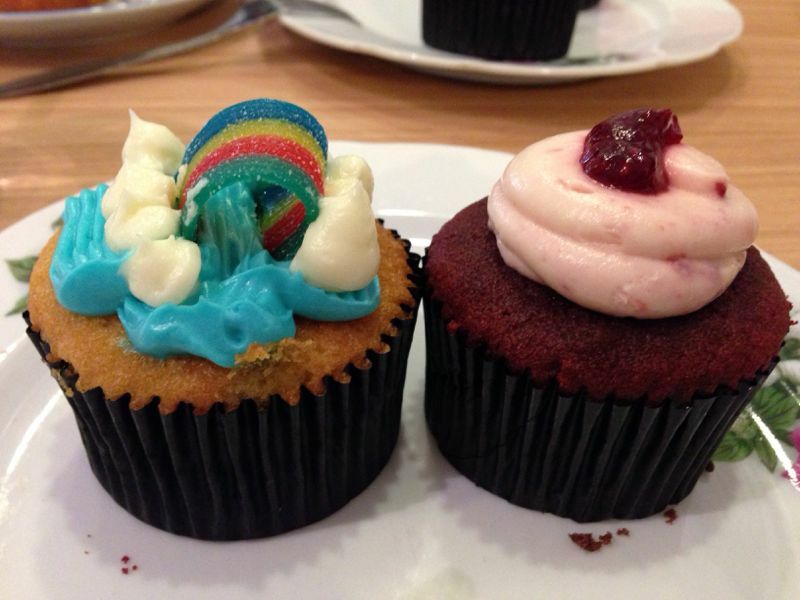 These two cupcakes – Over the Rainbow and Raspberry Velvet were not my favourite cupcakes. I generally don’t like blue icing. I do think there’s a general.. plastic taste about blue icing but I will say that I really liked the cake of this cupcake. I did taste some sort of nuts in the batter which gave it a nice nutty taste and it had a nice zing to it that the Cookies and Cream didn’t have. I stayed away from the cream on this one but otherwise, I liked the cake! I think the same goes for my Raspberry Red Velvet. I think the combination of cream cheese and raspberry (both sour in nature) was a bit much for me plus I didn’t like the combination of the red velvet base (which has vinegar in it, thus also a bit sour). Now don’t get me wrong, it’s not overly sour or anything like that, but I just didn’t like the combination. But it is of course a personal preference, so please, try it for yourself! My colleagues and I washed this down with free flow water (with lemon slices) and a pot of Blueberry Rooiboos tea (SGD $6) for a pot and they were so nice to allow us to share a pot amongst the 4 of us. Some places strictly insist that 1 pot of tea be served for only 1 person. It wasn’t a huge pot and I think we each got about 1 cup’s worth of tea each. However, I think it’s best served for two. 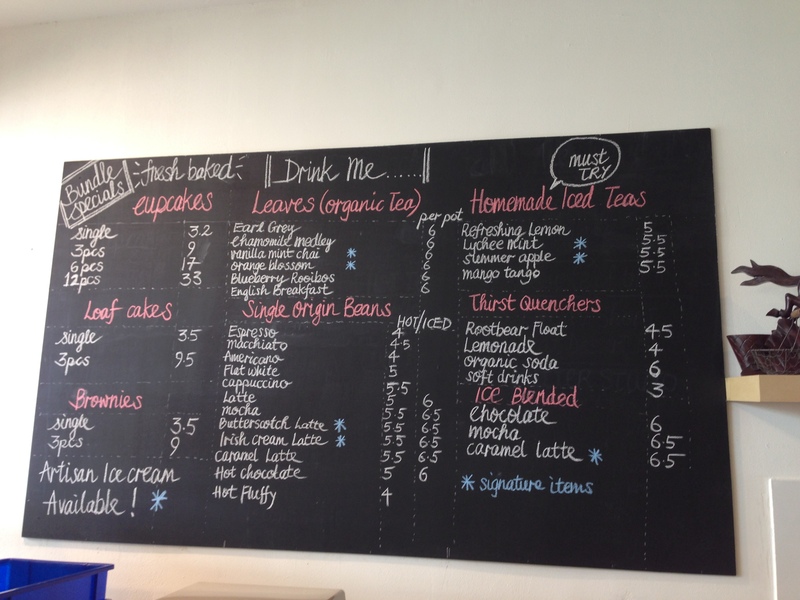 They have a selection of tea from Earl Grey to Chai and they also do coffee, so there’s really something for everyone. The Blueberry Rooiboos was really light and fragrant but not overpoweringly sweet, which after all that sugar, was really a welcomed change. It complemented the cupcakes really well and there was no bitter tea residue left even though I got the last bit of tea! That made me very very happy. Their teas are not in tea bags but they are loose leaves steeped for a few minutes in a hanging tea steeper. On top of cupcakes, Butter Studio also sells tarts and mini loaves, which for very obvious reasons, I didn’t try today. But I am sure, I will be back in due time to check out all that they have to offer. Before ordering our vouchers, I did some research on our choice of cupcakery and found out that they are a halal eating establishment. I verified via their Facebook page (where they gave their written assurance) and we also found many blogs that they are a halal establishment. When I reached there, I noticed that they had a egg and ham tart (it was the only savoury item) so I asked the staff if the cakes had alcohol and if they were halal, because I noticed the ham and I also knew that their Changi Airport outlet was halal. He told me that they use chicken ham and that they were in the process of applying for their certification, no certification yet. He also assured me that they used no alcohol in their cakes at all. I’m quite excited to have discovered this place and I really hope they continue with their cupcake buffets because I’m pretty sure they’ll have more and more people coming by once people learn more about them. It is after all such an unusual thing, this cupcake buffet. I really can’t wait to visit them again to try their other bakes like their chocolate tarts and enjoy some freshly brewed coffee. Halal Status: According to them, they are in the process of applying for their certificate. Vegetarian Options: They do use eggs for their bakes and cakes. I love this post, very detailed. And the images are also about info so important for lazy travellers like me(although its freaking nearby 😉) . Thank you, do continue your awesome eating! Love,Lina.